Every Fit Living boot camp class is a full body beat down and we never do the same workout twice. You have to try a class to see what you're missing. Our classes offer a chance to train with a certified personal trainer for a lower price than personal training costs. All of our classes are as intense as you want to make them, which makes them doable and challenging for any fitness levels. Every participant receives a FREE meal plan. Our personal training focuses on each person individually. Your one on one training will be geared towards your fitness goals and programed specifically to get you results. All of our personal training packages include personal training sessions, an individualized workout program and our SHRED cookbook and meal plan. By combining all of this your body has no choice but to change! 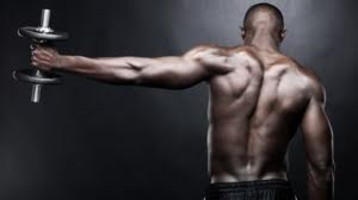 We provide sport training as well as our traditional personal training. Fit Living is now offering Vinyasa yoga classes. 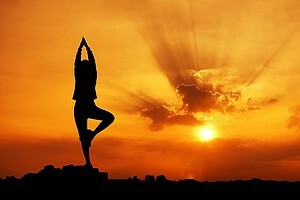 Vinyasa is a defined as "arranging something in a special way." Why not arrange you body in a special way and get a great workout while doing it? With Vinyasa yoga you coordinate movement with breath to flow from one pose to the next. How relaxing does that sound!? With 3 classes running per week, including a weekend class, you have no excuse to not pamper yourself once or twice per week! Our Tots class is a low to medium intensity workout specifically designed for post natal women and their babies. 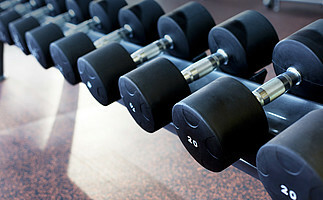 Bring your child to the workout, or don't, and get a great workout to get you back into the swing of exercising again. Every class is different and is a full body workout. The full body workouts will spike your metabolism and get you burning fat in a safe controlled environment.